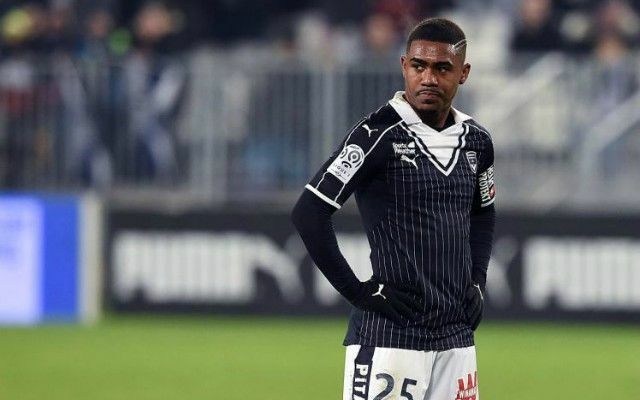 Roma have been busy in the summer transfer market, and it’s claimed that Malcom could become their latest recruit after a deal was reached with Bordeaux. The Giallorossi have already snapped up Javier Pastore, Justin Kluivert, Davide Santon, William Bianda, Ante Coric, Bryan Cristante, Nicolo Zaniolo, Antonio Mirante and Ivan Mercano this summer to significantly bolster Eusebio Di Francesco’s squad. That spending was seemingly covered by the sale of Alisson to Liverpool in a £67m deal, as per Sky Sports, but it appears as though the Italian giants aren’t done strengthening the group just yet. According to Sky Sport Italy journalist Gianluca Di Marzio, Roma have reached an agreement with Bordeaux over the signing of Malcom, while he’s added in his tweet below that a deal worth €36m will be completed. Should Malcom go on to secure a move to Roma after being linked with countless other clubs around Europe over the course of the summer, it will be considered quite the coup for the Italian side. The 21-year-old impressed last season, bagging 12 goals and eight assists in 38 appearances, and so he will undoubtedly add another dangerous attacking threat to Di Francesco’s options. With Juventus bringing in Cristiano Ronaldo this summer, they will continue to be the side to catch in Italy having already secured seven consecutive Serie A titles, and if you’re a gambling man, using sites like casino mir to find the best places to do your betting, you’d surely put money on them making that eight in a row. The arrival of the Portuguese superstar will only make toppling them even more difficult, but Roma enjoyed a strong season alongside Napoli last year, and they will fancy their chances of being the main threat to ending the Bianconeri dominance. With Malcom on the verge of sealing a move to the Stadio Olimpico, it remains to be seen if that concludes sporting director Monchi’s business for the summer as he has certainly made Roma more of a threat this summer, minus the loss of Alisson.